The integrity of a building starts with a well-installed roof. By making sure the roof and sheet metal is installed the right way, your property will hold its value and be more efficient for years to come. With Aldo Inc. Sheet Metal & Roofing, your next project gets handled exactly how you want it. If something needs to be made from sheet metal or copper, we can do it because we're "The Copper Guys." Our family-owned-and-operated sheet metal and roofing company offers services throughout the Twin Cities and the surrounding areas. We check every detail of our projects to ensure your job is finished perfectly. Count on us to handle your next project, because we care about the end result just as much as our clients. Count on the experts at Aldo Inc. Sheet Metal & Roofing to improve the condition and appearance of your buildings. 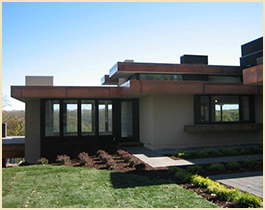 Throughout Minnetonka, Minnesota, we handle all specialty sheet metal work and roofing services. We do everything from making a small copper collage to hang in your home or office to installing commercial building standing seam roofs. Over the years, we have worked with places such as Valleyfair™, the Boyer Ford Pyramids™, and Fogo de Chão™, and even traveled as far as Korea to provide our services. Our family-owned-and-operated business started in 1972 with our parents. Today, we are now run by three siblings of the founders who work together to run our family business. 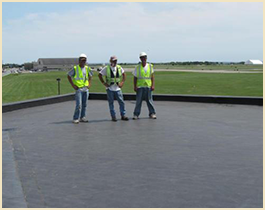 We work on residential and commercial buildings all around Minnesota. 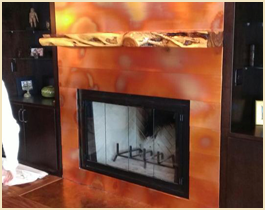 Our staff is passionate about creating beautiful, long-lasting projects for our clients to appreciate for years.